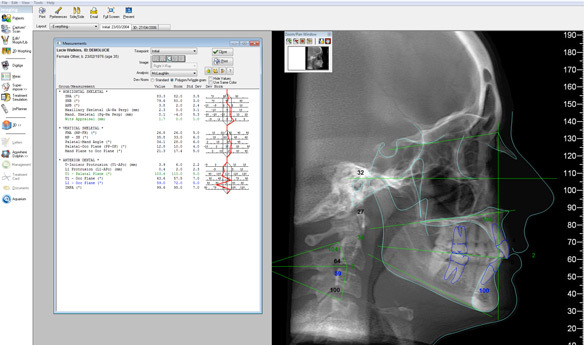 Ceph Tracing allows you to analyze cephalometric radiographs and create progress superimpositions quickly and accurately. Utilized by thousands of private practices throughout the world and most orthodontic and oral surgery training programs in Nor th America, Dolphin Ceph Tracing dramatically reduces the tedious and time-consuming task of cephalometric tracing. Burstone, Gerety and many other variations; more than 400 in all! Norm	deviation	display	“Downs	Wiggle	Gram�?